Home > Departments > Faculty > Thomas Del Prete Ed.D. Professor Del Prete has been Director of the Adam Institute for Urban Teaching and School Practice since 2012. Previously, he was Director of the Hiatt Center for Urban Education (1998-2012) and Chair of the Education Department (1996-2012). A graduate of Brown University, and a former secondary teacher in History and English, he earned his doctorate from Harvard University, concentrating on teaching, learning, and curriculum. 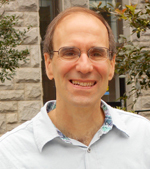 Professor Del Prete founded and supports the continuing development of Clark's partner school collaborative, including the Goddard, Hiatt, and Woodland elementary schools and Claremont Academy, South High and University Park Campus School. The partner school collaborative is dedicated to the joint development of learning cultures and practices that serve the students in "Main South," a diverse and low income area of Worcester. Likewise, the partnership is committed to developing exemplary models of urban teacher preparation, professional development and school reform, and to learning from the effort. Professor Del Prete developed the "rounds" model, a classroom-based collaborative learning model for teachers, as well as the curriculum team model that bridges and integrates arts and sciences and practitioner perspectives -- two signature programs. For a number of years he served as co-chair of the partnership History Curriculum Team. In pursuing the partnership work, Professor Del Prete has been awarded grants from the federal Department of Education, the Massachusetts State Department of Education, the Massachusetts Board of Higher Education, and national and local private foundations. Most recently, he received a grant from the Greater Worcester Community Foundation to support development of the Main South College Success Program, a neighborhood- and school-based effort to maximize support for first-generation college students. He is an original and continuing member of the steering committee for University Park Campus School. He received the Thomas Jefferson award from the Worcester Public Schools for his service to University Park Campus School in 1999, and the John W. Lund Community Achievement award at Clark in 2000. Professor Del Prete's interests include university-school partnerships, models of urban teacher education, secondary school reform, history curriculum and learning, and spirituality and education. He has been recognized for his scholarship on Thomas Merton and education. His book Thomas Merton and the Education of the Whole Person earned the first scholarship award given by the International Thomas Merton Society in 1991. He has published about twenty articles and reviews in Merton studies. He was elected President of the International Thomas Merton Society for a two year term in 1997. His most recent books focus on urban school cultures and practice and professional learning through the rounds model. Teacher Rounds: A Guide to Collaborative Learning in and from Practice. CA: Corwin Press, 2013. "Points of Contact," in Schorr. W., Hoidn,S., Lowry C., & Cavicchi, E., eds. Always wondering…: a melange of Eleanor Duckworth and critical exploration. Cambridge, MA: Critical Exploration Press, 2013. "A True Test for Worcester," Worcester Telegram and Gazette, January 30, 2013, p. A12. Improving the Odds: Developing Powerful Teaching Practice and a Culture of Learning in Urban High Schools. NY: Teachers College Press, 2010. "Equity and Effectiveness: Challenge and Promise in a Tale of Two Schools and a Partnership," Journal of Equity and Excellence in Education, Volume 39, Number 1, February 2006. "Being What We Are: Thomas Merton's Spirituality of Education," in Nurturing Our Wholeness: Perspectives on Spirituality and Education, edited by John (Jack) P. Miller and Yoshiharu Nakagawa, The Foundation for Educational Renewal, 2002. Thomas Merton and the Education of the Whole Person, Birmingham, AL: Religious Education Press, 1990 (second printing, October, 1995).